I've finally found time to get started today, and got some first stuff to show off. The Classic Alien Form will be a SciFi Roguelike (in the classic form, i.e. not a Roguelikelike). 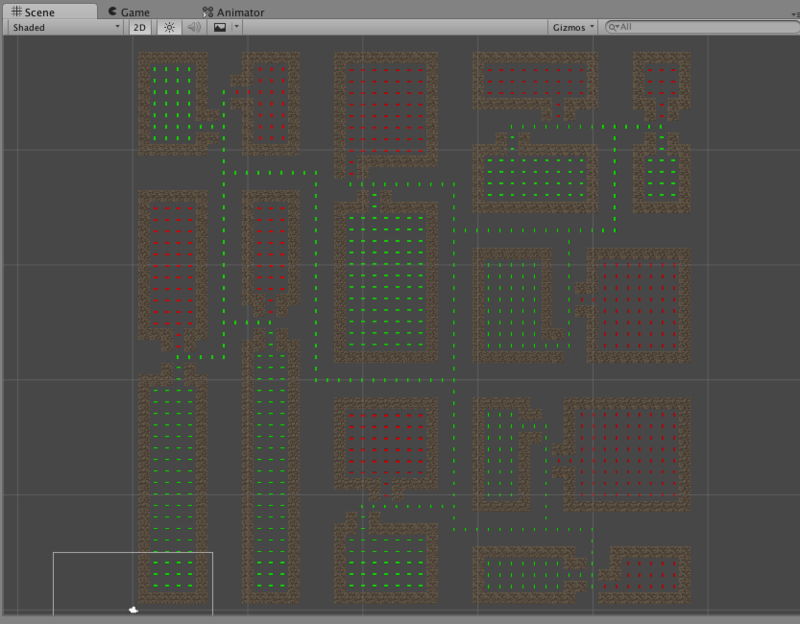 Currently, I'm working on a first draft for procedural level generation using some mock tiles from a Unity example project. Adding some better art (I'm considering using the Oryx SciFi tiles) is one of the next items on my list. As a short note: I personally find it really difficult to post WIP pics, as there that should be changed Anyone else also has this problem? Nice! More Roguelikes need sci-fi themeing for sure, fantasy is so much more prevalent. I'm making a text-based thing in twine for my first Wizard Jam, so there just isn't much to post at all! I'll consider putting some little story spoilers up at some point, but it's structurally such a small experience, I dunno. After fighting some (and hopefully all) edge cases, I've got the tileset included, and am now generating and rendering maps. Now, on to some actual gameplay. Oh that looks sweet. Good tile set. Thanks, can't take credit for the tileset though, that's by Oryx. Cool. I love a roguelite-a-like. I've submitted a finished version to the itch.io, it can be found here. I ran into some time issues, and will post a post mortem later. Thanks for the feedback, i've added a note about it being turn-based to the description on itch.io. I'll try how the flow changes if I only move the player on key-downs instead of each frame (and turn), if it feels good, I'll add it to the post-jam version.